Witt Law Firm, P.A. 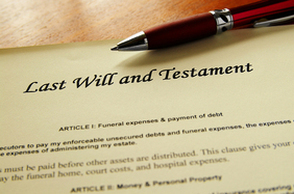 has experience in drafting Wills, Living Wills, Power of Attorney, and Health Care Power of Attorney. It is never too early to have a will or other instrument to protect your interests if you become incapacitated. If you are considering any or all the above please give us a call to discuss, which may be right for you.